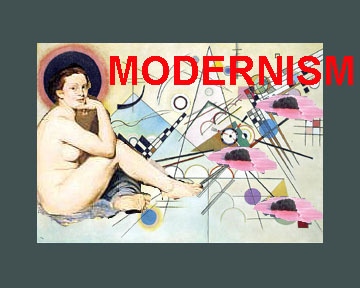 The 20th century has focused its artistic attention on progressive modernism to the extent that conservative modernism has been neglected and, indeed, derided as an art form. The so-called academic painters of the 19th century believed themselves to be doing their part to improve the world by presenting images that contain or reflect good conservative moral values, examples of virtuous behaviour, of inspiring Christian sentiment, and of the sort of righteous conduct and noble sacrifice that would serve as an appropriate model toward which we should all aspire to emulate. The new world order reflected in academic modernism was seen by the progressives as merely supportive of the status quo and offered a future that was little more than a perpetuation of the present. The conservatives wished to maintain existing institutions and preferred gradual development over radical change. The progressives, on the other hand, were critical of institutions, both political and religious, as restrictive of individual liberty. Progressives placed their faith in the goodness of mankind, a goodness which they believed, starting with Rousseau in the 18th century, had become corrupted by such things as the growth of cities. Others would argue that man had been turned into a vicious, competitive animal by capitalism, the corrosive inhumanity of which was plain to see in the blighted landscape of the industrial revolution. Rousseau had glorified Nature, and a number of modernists idealised the country life. Thomas Jefferson lived in the country close to nature and desired that the United States be entirely a farming economy; he characterized cities as "ulcers on the body politic." Generally speaking, progressive modernism tended to concern itself with political and social issues, addressing aspects of contemporary society, especially in its poorer ranks, that an increasingly complacent middle class, once they had achieved a satisfactory level of comfort for themselves, preferred to ignore. Through their art, in pictures that showed directly or indirectly the plight of the peasants, the exploitation of the poor, prostitution, and so on, the progessives repeatedly drew attention to the political and social ills of contemporary society, conditions they felt needed to be addressed and corrected. Fundamentally, the intention was to educate the public, to keep alive in the face of conservative forces the Enlightenment ideals of freedom and equality through which the world would be made a better place. The position taken by progressive modernism came to be referred to as the avant-garde (a military term meaning "advance-guard"). In contrast to the conservative modernists who looked to the past and tradition, the avant-garde artist consciously rejected tradition. Rather than existing as the most recent manifestation of a tradition stretching back into the past, the avant-garde artist saw him- or herself as standing at the head of a new tradition stretching, hopefully, into the future. The progressive modernist looked to the future while the conservative modernist looked to the past. The rejection of the past became imperative for the progressives with the advent of the First World War which signalled for them the catastrophic failure of tradition. The senseless, mechanized carnage of the "Great War" starkly showed that modernism's faith in scientific and technological progress as the path to a better world was patently wrong. For the Dadaists, World War One also signalled the failure of all modernist art. It could be claimed that Dada in fact marks the emergence of a post-modernist cast of mind. Today, we would characterize progressive modernism, the avant-garde, as left-leaning and liberal in its support of freedom of expression and demands of equality. Since the 18th century, the modernist belief in the freedom of expression has manifested itself in art through claims to freedom of choice in subject matter and to freedom of choice in style (i.e. in the choice of brushstroke and colour). It was in the exercise of these rights that the artist constantly drew attention to the goals of progressive modernism. As the 19th century progressed, the exercise of artistic freedom became fundamental to progressive modernism. Artists began to seek freedom not just from the rules of academic art, but from the demands of the public. Soon it was claimed that art should be produced not for the public's sake, but for art's sake. Art for Art's Sake is basically a call for release from the tyranny of meaning and purpose. From a progressive modernist's point of view, it was a further exercise of freedom. It was also a ploy, another deliberate affront to bourgeois sensibility which demanded art with meaning or that had some purpose such as to instruct, or delight, or to moralize, and generally to reflect in some way their own purposeful and purpose-filled world. A progressive modernist painter like James Abbott McNeill Whistler, for example, blithely stated that his art satisfied none of those things. A work of art is the unique result of a unique temperament. Its beauty comes from the fact that the author is what he is. It has nothing to do with the fact that other people want what they want. Indeed, the moment that an artist takes notice of what other people want, and tries to supply the demand, he ceases to be an artist, and becomes a dull or an amusing craftsman, an honest or dishonest tradesman. He has no further claim to be considered as an artist. Art for Art's Sake, however, was a ploy that backfired. The same bourgeois whose tastes and ideas and prescriptions Whistler was confronting through his art, quickly turned the call of "Art for Art's Sake" into a tool to further neutralize the content and noxious effects of progressive modernist art. In the late 19th century, we find art beginning to be discussed by critics and art historians largely in formal terms which effectively removed the question of meaning and purpose from consideration. From now on, art was to be discussed in terms of style -- colour, line, shape, space, composition -- conveniently ignoring or playing down whatever social, political, or progressive statements the artist had hoped to make in his or her work. This approach became pervasive to the extent that artists, too, certainly the weaker ones, and even some of the strong ones as they got older or more comfortable, lost sight of their modernist purpose and became willy-nilly absorbed into this formalist way of thinking about art. In defense of this attitude, it was argued that as the function of art is to preserve and enhance the values and sensibilities of civilized human beings, it should attempt to remain aloof from the malignant influences of an increasingly crass and dehumanizing technological culture. Eventually there emerged the notion that modernist art is practised entirely within a closed formalist sphere, necessarily separated from, so as not to be contaminated by, the real world. The formalist critic Clement Greenberg, in an article first published in 1965 entitled "Modernist Painting," saw Modernism as having achieved a self-referential autonomy. The work of art came to be seen as an isolated phenomenon, floating in some rarefied, ideal "Platonic" zone, governed not by human impulse so much as by the mysterious internal laws of stylistic development. Painting and sculpture stood separate from the materialistic world and the mundane affairs of ordinary people. The underlying assumptions at work here first of all posit that the visual artist, by virtue of special gifts, is able to express the finer things of humanity through a "purely visual" understanding and mode of expression. This "purely visual" characteristic of art makes it an autonomous sphere of activity, completely separate from the everyday world of social and political life. The autonomous nature of visual art means that questions asked of it may only be properly put, and answered, in its own terms. The history of modernism is contructed only in reference to itself, it is (or was until recently) entirely self-referential. Impressionism gains much of its art historical significance through its place within a scheme of stylistic development that has its roots in the preceding Realism of Courbet and Manet, and by its also providing the main impetus for the successive styles of Post-Impressionism. Traditional art historians and critics are fond of extending this sort of approach beyond the modernist period to other artists and periods to enhance the illusion of a history of art composed along one great thread of stylistic interconnection. The system allowed one to connect the preferred art of the present to an authentic art of the past by means of a retrospectively perceived logic of development. By this means a supposedly disinterested judgment could be justified in terms of a supposedly inexorable historical tendency. In the hands of the conservative establishment, formalism became a very effective instrument of control over unruly and disruptive art. Many of the art movements spawned in the first half of the 20th century could be seen as various attempts to break the formalist grip on progressive modernism. The system, though, articulated by the more academic art historians and critics, operating hand-in-hand with the art market which was only interested in money and not meaning, effectively absorbed all attempts at subversion and revolt into a neutral, palatable, only occasionally mildly offensive history of art of the kind you encounter today in art history textbooks. Unfortunately for the history of art, in the process of neutralizing progressive modernism, art history also had to neutralize all other art from earlier periods and from elsewhere in the world. The same reductionist, schematic approach was employed across the board creating a history of art largely devoid of any real meaning original to the artwork. It was generally agreed that aesthetic quality would have priority in deciding the function of art instead of its social or political relevance. It was also agreed that painting and sculpture should remain central to the concept of high art and the "Fine Arts." 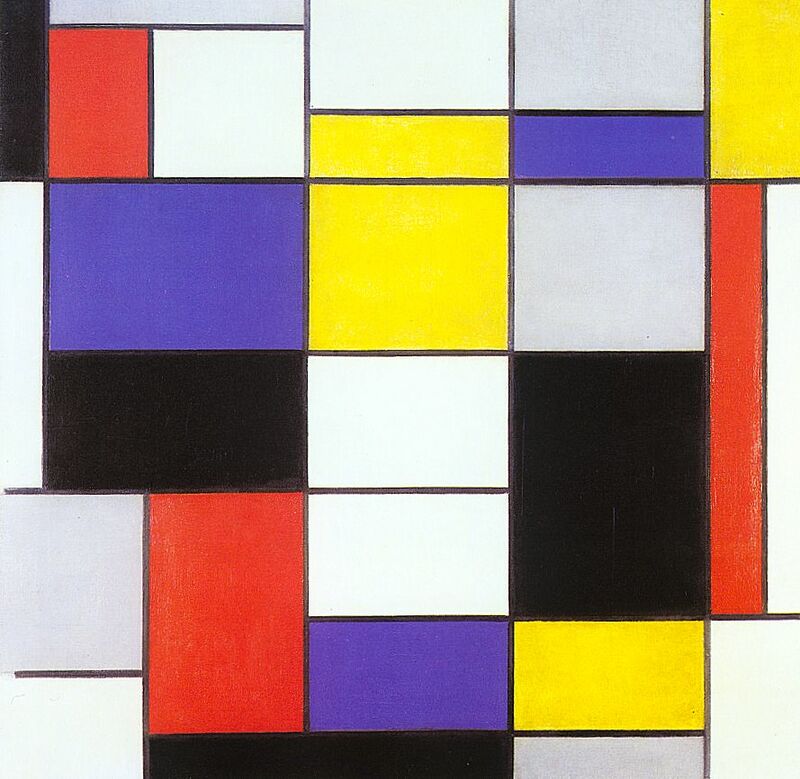 Formalism, though, could also be turned to the advantage of the progressives who were able to use it in defense of modernism, abstraction in particular, which has been especially open to criticism. Formalism also neatly dovetailed in the early 20th century with another goal of progressive modernism, universalism. For art to be an effective instrument of social betterment, it needed to be understood by as many people as possible. But it was not a matter of simply articulating images, it was the "true" art behind the image that was deemed important. Art can be many things and one example may look quite different from the next. But something called "art" is common to all. Whatever this art thing was, it was universal; like the scientific "truth" of the Enlightenment. All art obviously possessed it. Some artists went in search of "art". From an Enlightenment point of view, this was a search for the "truth" or essence of art, and was carried out using a sort of pictorial reasoning. The first step was to strip away distracting elements such as recognizable objects which tended to conceal or hide the art thing; an example of this approach would be Wassily Kandinsky. A more radical approach was then to reduce the non-recognizable to the most basic elements: line and colour. This was the approach of Piet Mondrian. However, it is frequently overlooked that for the artists who undertook this search, there was more at stake than the discovery of the "truth" of art. For some, abstraction was a path to another goal. 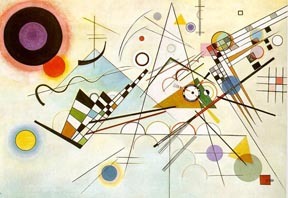 Both Mondrian and Kandinsky were keenly interested in the spiritual and believed that art should serve as a guide to, or an inspiration for, or perhaps help to rekindle in, the spectator the spiritual dimension which they and others felt was being lost in the increasingly materialist contemporary world. Abstraction involved a sort of stripping away of the material world and had the potential of revealing, or describing, or merely alluding to the world of the spirit.